Plastic coil binding is a cost effective, durable binding method. Plastic coil is more flexible than wire based binding applications which makes it ideal for binding heavy use items such as children’s books and training manuals. Plastic coil binding can be used for virtually an unlimited number of pages. 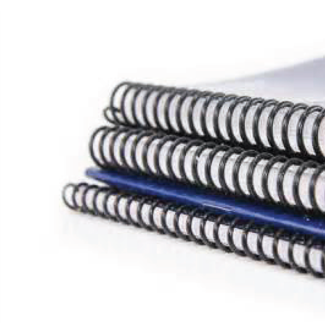 In addition to being a good choice for heavy use project binding, coil binding is an innovative way to give presentations and reports a unique edge . Being on par in terms of price and quality only gets you into the game.